Today is my stop on The Ripper Gene blog tour! I’m so excited to be a part of this as I really enjoyed this book! 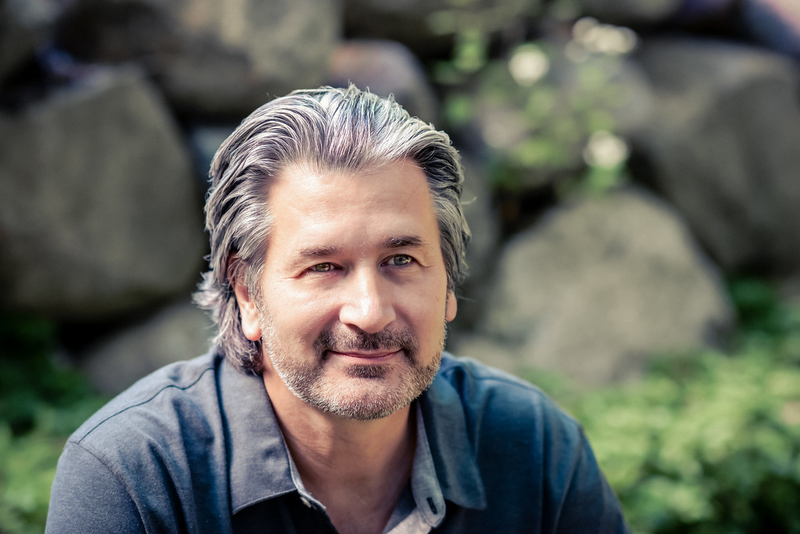 MICHAEL RANSOM is a molecular pharmacologist and a recognized expert in the fields of toxicogenomics and pharmacogenetics. He is widely published in scientific journals and has edited multiple textbooks in biomedical research. He is currently a pharmaceutical executive and an adjunct professor in the Department of Pharmacology at the University of Pennsylvania School of Medicine. Raised in rural Mississippi, he now makes his home in northern New Jersey. The Ripper Gene is his first novel. Many thanks to Sarah at Smith Publicity and the author for my copy of The Ripper Gene in exchange for an honest review. Does your DNA influence your ability to choose between good and evil? The tenuous link between complex genetics and violent, antisocial behavior is the controversial scientific premise explored in Michael Ransom’s debut novel The Ripper Gene. 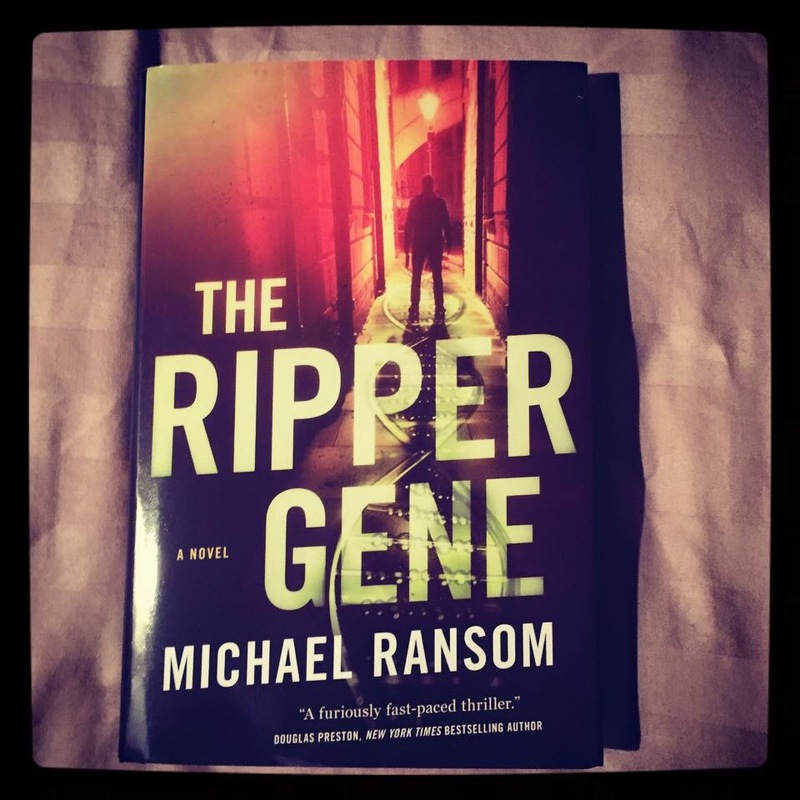 In The Ripper Gene, Ransom takes readers into a serial killer investigation led by main character Dr. Lucas Madden, a neuroscientist-turned-FBI profiler who lost his own mother in a brutal, unsolved cold case from his childhood. As a young graduate student, Madden analyzed DNA samples from some of the most notorious serial killers in history, and unearthed a gene linked to abnormal brain function in psychopaths… which he named the RIPPER gene. Later, after becoming an FBI profiler, Madden makes even more headlines by developing a controversial genetic test that can predict a serial killer’s behavior using DNA alone. Madden’s latest case — taking him deep into the bayous of the Mississippi gulf coast and the parishes surrounding the FBI field office in New Orleans — hits too close to home, when his ex-fiancé disappears and young women victims clutching razor-laden apples begin turning up in the same county in which his mother was murdered, in an apple orchard on Halloween night many years ago. A ruthless new murderer, dubbed the Snow White Killer, is terrorizing young women in the area, and Madden finds himself in a race against the clock to protect the people he loves the most and end this reign of terror. I really liked this book! I didn’t know what to expect when I started reading even though I’d read the press release and the synopsis. Lucas Madden is an FBI profiler who made a name for himself as a neuroscientist isolating the so called Ripper gene in serial killers. Working out of the New Orleans field office, Madden is called to investigate a series of murders in which the female victims are left holding an apple with a razor blade inside. It seems very coincidental to Madden as his own mother was brutally murdered when he was young and the killer was never found. Dubbed The Snow White Killer (SWK), he killer starts to terrorise those closest to Madden. What ensues, is a high octane chase to find out who the killer is and why he’s targeting Madden. I loved Lucas. I’ve read so many police/crime novels, and rarely I come upon a main character that I like immediately. Something about him makes you want to get to know him, which you do once the story gets into its stride. He’s paired up with Agent Woodson for the investigation, and she compliments his character perfectly. Together, they make a great team. The premise for this book, coupled with Michael Ransom’s knowledge and expertise in the area of molecular biology, is extremely interesting. I mean, who wouldn’t want to know if they possess the serial killer Ripper gene!!! I know I would!! I cannot recommend this book highly enough. The scientific subject matter, coupled with the dark and twisted storyline make for an engaging, thrilling read! I am so glad I have read this, and to be honest, I would read any book with Lucas Madden in it in the future! Something I didn’t mention at the beginning of this review, is that The Ripper Gene is a debut novel for Michael Ransom. A FRICKIN DEBUT!!!! To write this well, and to create such an intricately plotted book as a debut is astounding! I for one am hoping to see plenty more from Ransom in the future! I agree, I’m nearly at the end and really enjoying it. I was pleasantly surprised at how good it is!